Aggravated assault is always a felony crime in New York. If you are convicted, you could be sentenced to decades in prison, fine with thousands of dollars, and receive a criminal record you’ll be stuck with forever. Your career, your reputation, and even your freedom are on the line: you can’t afford to risk facing off against the prosecution on your own. 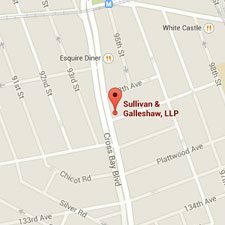 At the law offices of Sullivan & Galleshaw, our aggravated assault lawyers are supported by more than 20 years of experience representing the people of New York City. 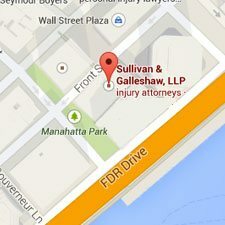 We handle cases across all five boroughs and the surrounding metropolitan area, and offer free, no-obligation consultations for new clients. Our criminal defense attorneys pride ourselves on fighting hard for our clients, and we are committed to crafting aggressive defense strategies against even the most complex of charges. To arrange a free, private legal consultation, call our law offices at (800) 730-0135 . Definition – Charged when a defendant assaults either a peace officer or police officer with “with intent to cause serious physical injury.” These charges also require that the defendant either knew or should have known that the victim was an on-duty peace or police officer. Definition – In addition to the victim being 10 years old or younger, the defendant must have been at least 18 years old at the time the crime was allegedly committed, and must have had another conviction of the same crime within the last three years. If there was no previous conviction, the defendant may be charged with second degree simple assault instead. Second degree simple assault is a Class D Violent Felony. There are no “degrees” of these offenses. They are always graded as noted above, and are always violent felony charges. Creates a significant risk of death. Results in long-term disfigurement, organ damage, or other health problems. The term “peace officer” includes constables, sheriffs, state investigators, and other agents. New York is tough on crime, and judges frequently imposes expensive fines and lengthy prison sentences if a defendant is convicted of aggravated assault. Because Aggravated Assault Upon a Police Officer or Peace Officer is specifically classified as violent felony, conviction generally leads to a determinate sentence, as opposed to nonviolent felonies which often lead to indeterminate sentences. Determinate are fixed at a single number instead of encompassing a range of years. 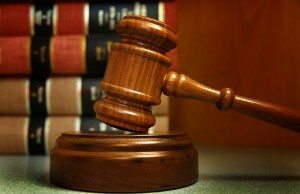 In both cases, the maximum fine will either be set at $5,000 or double the amount of money the defendant made by committing the assault – whichever number happens to be greater. While most people immediately worry about the court-ordered penalties like restitution and incarceration, the consequences of having a felony criminal record can continue to wreak havoc on your life long after you finish your sentence. Your criminal history is accessible to employers, lenders, landlords, and despite anti-discrimination laws, many former felons struggle to be hired for jobs and approved for loans and housing. You could also lose certain voting rights, and may be prohibited from earning professional certifications or licenses. Depending on your occupation, these restrictions could seriously damage your career. The bottom line is that an aggravated assault accusation a life-changing matter and demands your immediate attention. 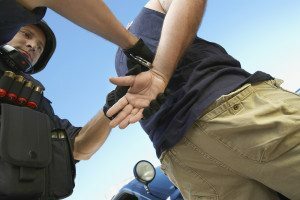 If you or someone you love was arrested in New York City, the time to seek qualified legal counsel is now. 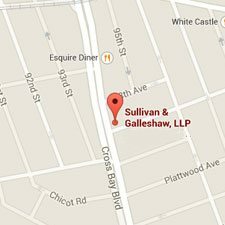 To set up your free and completely confidential case evaluation, call the experienced New York aggravated assault lawyers of Sullivan & Galleshaw at (800) 730-0135 today.